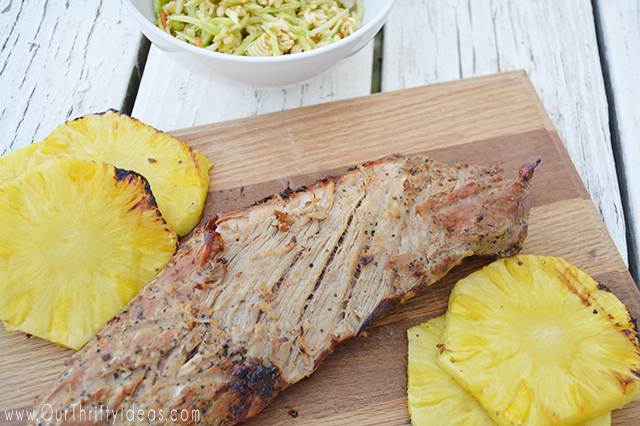 Grilled pineapple and pork tenderloin, cooked on a charcoal grill. YUM! Have you ever made a dinner, and then after the fact you think to yourself “did I seriously make that? Because it was THAT good”. Yeah, that was our dinner the other night. I may have had “second dinner” and eaten it again a few hours later!! And do you want to know the best part of the whole thing, IT WAS THE EASIEST DINNER I HAVE MADE IN A LONG TIME. Yup, it was so easy that it totally deserves all caps. 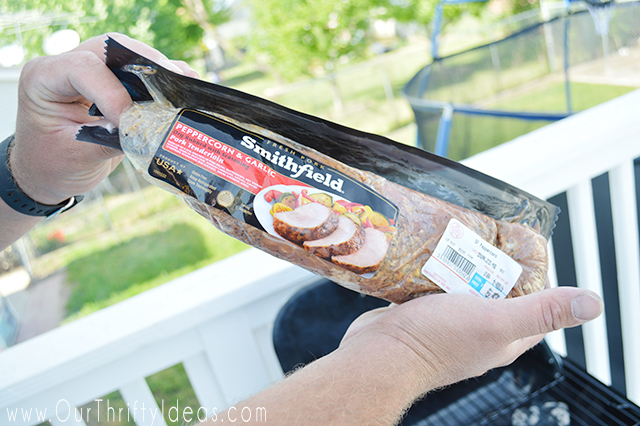 While shopping at Walmart, I picked up this pre-marinated Smithfield® Pork Tenderloin. It was a Peppercorn Garlic flavor and I knew it would be a hit with the family. Oh, I was right!! Will went back for 3rd of his meat and wouldn’t stop talking about how yummy the outside was. Guess he likes the marinade. We cooked our dinner over a charcoal grill. It was super easy, but there were a few things we learned in the process. Cooking the meat over medium heat was foreign to us…how do you know what medium heat is?! 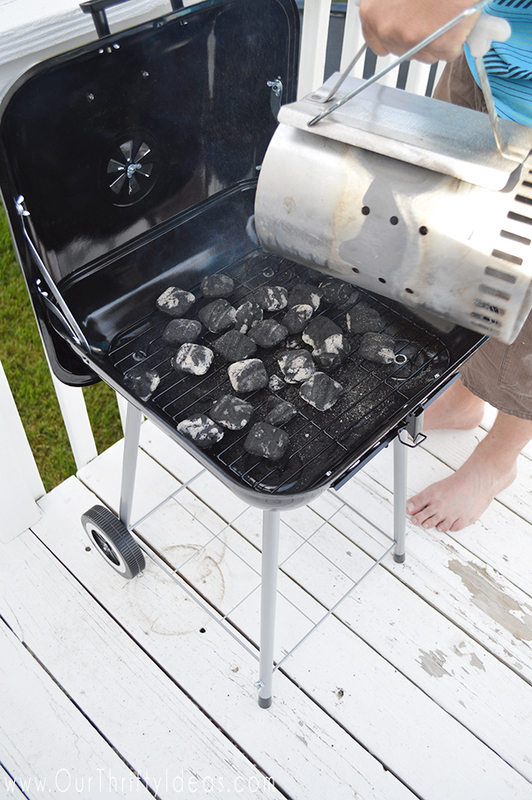 After a little research, we found out that you can judge your heat by how full you fill your charcoal chimney. Half full will give you approx. a medium heat. 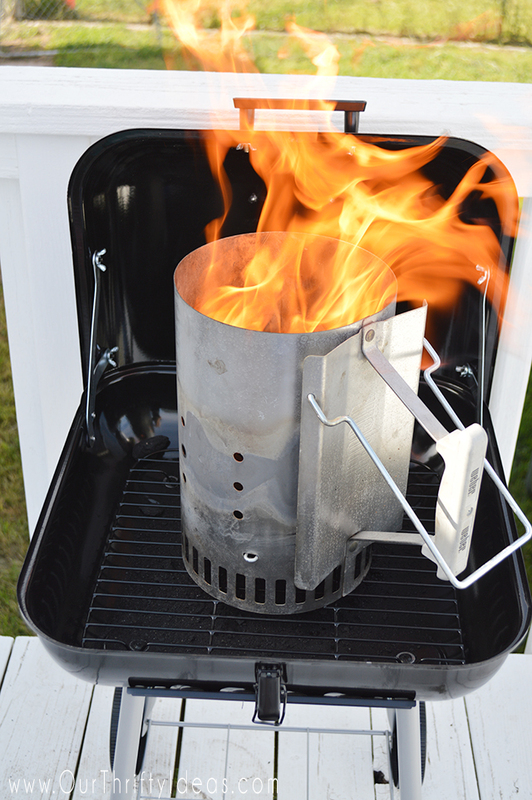 Of course, the size of your grill will also change this. We were cooking on a 17.5 inch grill. 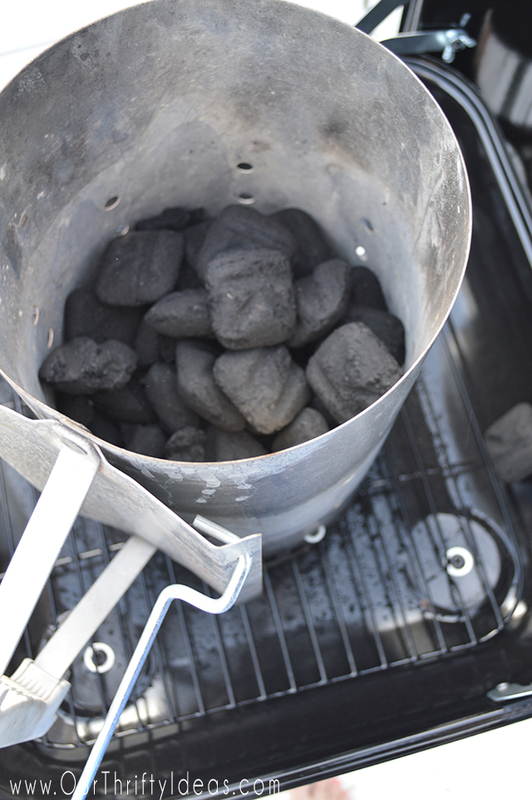 We lit the charcoal and let it get all grey and chalky looking, which meant the coals were heating up. Once everything was hot, we poured them into the bottom of the grill, and spread them into an even layer all the way across, creating direct heat everywhere. Then according to the directions on the pork tenderloin, we cooked the meat for around 28 minutes, until the interior of the meat (at the thickest part of meat) is at least a 150 degree temperature. 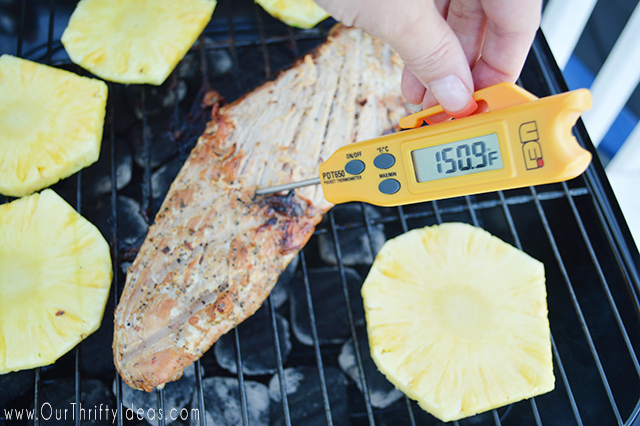 With about 8 minutes left, we added sliced pineapple and cooked it for about 4 minutes on each side. 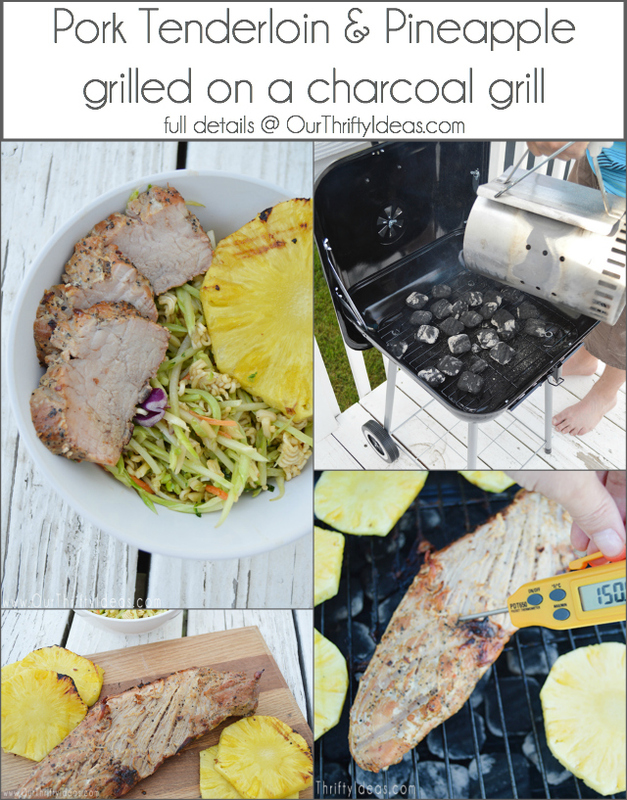 Oh how I love grilled pineapple!!! We did learn that we should have sprayed our grill before hand, the meat stuck in the center and pulled off some of the delicious marinated outside. Awe man! We also flipped our meat just once at the half time mark. Once the meat was fully cooked, we pulled it off and put it directly onto a cutting board. This meat was SO JUICY and delicious. 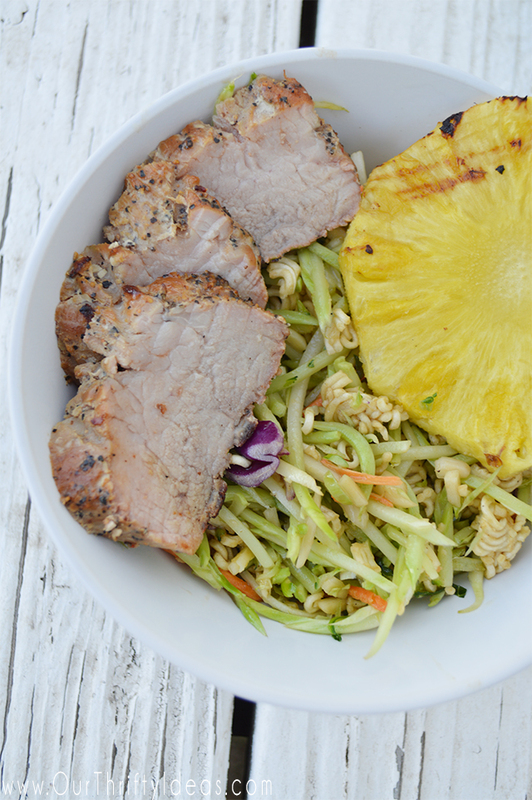 We sliced it into small medallions and served it over a broccoli slaw salad and with the sliced grilled pineapple. This is a meal that we will definitely be having on many more occasions. It was a favorite for lots of us, and I love when I find a great crowd pleaser that is inexpensive and easy! 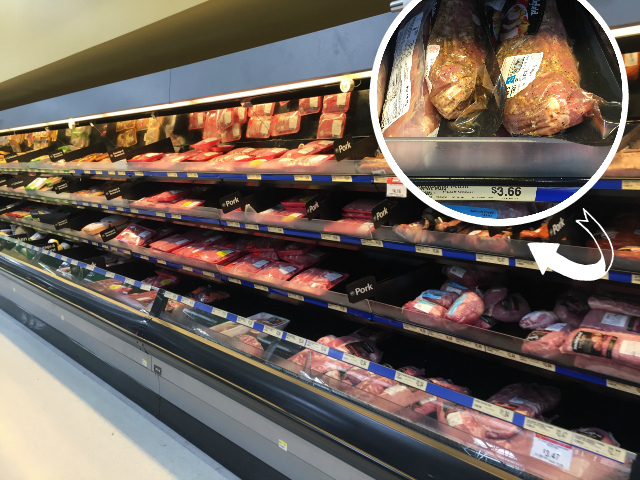 Another fantastic idea is featured in this Smithfield video below. Yum! !